Jay-Z and Gloria Carter attend an evening of "Making The Ordinary Extraordinary" hosted by The Shawn Carter Foundation at Pier 54 on September 29, 2011 in New York City. 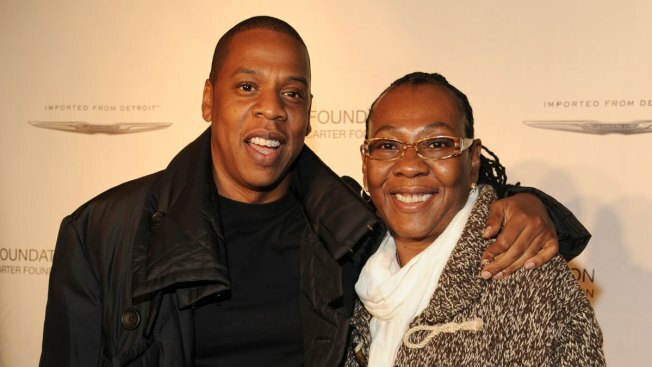 Jay Z says he cried with joy when his mother came out to him as lesbian. In the April 6 episode of "My Next Guest Needs No Introduction with David Letterman" on Netflix, Jay Z says he was happy his mother was free. The rap mogul says he'd known his mother was gay, but they discussed it for the first time eight months ago. Jay Z says his mother had to live as someone she wasn't because she didn't want to embarrass her children. Gloria Carter came out on Jay Z's 2017 song "Smile," which featured her poem "Livin in the Shadows."